I am a person who loves surprises, so naturally, I love the whole idea of monthly subscription boxes. Which follows that finding out about GlobeIn and their monthly artisan subscription boxes touched on both my love of surprises and for ethically-made, artisan goods! 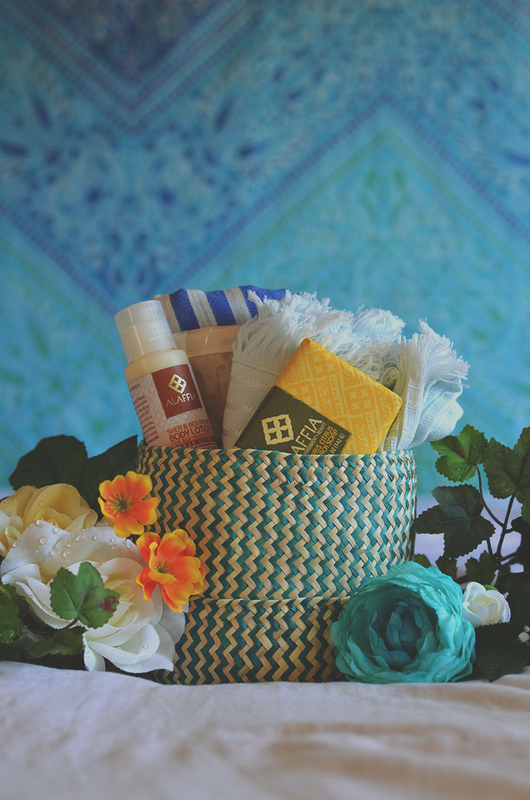 For this post, I'll be reviewing the Artisan Box in the "Bathe" theme ♥ Read on to see the full unboxing and the stories behind each beautiful artisan-made item! For a while, I had been avoiding wearing a lot of black because I quite simply got tired of it from school (I normally dress in all black because you never have to worry about anything not matching.) But slowly I've been integrating this color back into my wardrobe, which was made quite easy by the addition of this edgy maxi dress which also happens to be made of organic cotton! If I'm not dressing in a boho style, you'll find me dressing in activewear outfits with a street style twist. I was never big on activewear or sneakers until I moved to New York for school and now I'm hooked! With all that walking around I was constantly doing, necessity and comfort warranted those pieces, but now I've become quite fond of styling cute activewear inspired outfits in general! This outfit is particularly special because it's entirely recycled. Read on for full outfit details and brands! Handmade and hand-printed, this two piece set is a lovely example of the beauty of slow fashion. A romantic outfit with a sense of adventure, it seemed only fitting to shoot this in a dreamy forest pathway. Read on for full outfit details and why each piece in this outfit is a sustainable choice!